Google, being one of the biggest search engines has shocked the internet with its announcement of the end to instant search as effect from 26th July. Although there may be many mobile users unsure of what this tool is, the main desktop users will certainly feel the hit from the changes. As the internet grows and more users are moving to mobile instead of desktop, the decision behind the removal of instant search has come from aiming to improve search and make it ‘more fluid on all devices’, as google spokesman has stated. As the internet evolves, there are new and innovative ideas to improving search. Google has identified that as over half searches happen on mobile, there is little benefit of instant search to mobile users. The variation in screen constraints and difference in input and interaction on mobiles is one reason to retire the instant search. Google has recognised the importance of consistency amongst all devices for a much friendlier search. Instant search was introduced back in 2010, as an effort to improve user experience. The user would be flooded with options of searches as they typed, shaving seconds off their time spent on the internet. The tool was great for saving time on desktops. The instant and quick search features are one of the most convenient and fastest tools for users. However, instead of loading up clickable page options, google has removed this list. Now when typing within google search you will only be able to click on suggestions to see results once the user has hit the enter key. 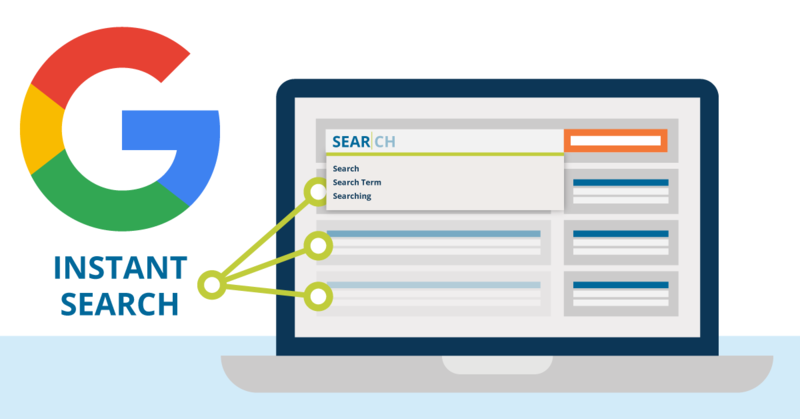 Although the internet will see an end to a great tool and there are concerns over how it may impact keyword research, there is an exciting period approaching. Google has stated they hope to improve and develop user experience over mobile and desktop further. The next period of waiting will be difficult but google has not yet failed to deliver a great feature. If you’re looking for an agency to provide SEO that brings results and doesn’t harm your site's search visibility talk to us. Our SEO packages start from £500 per month and are tailored to your needs not just your budget. Call us on 01227 68 68 98 or tell us more about your needs below.